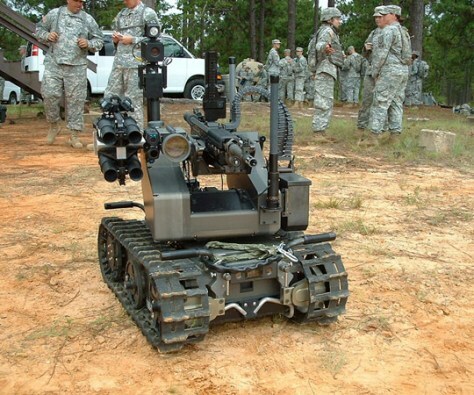 Lethal military robots are currently deployed in Iraq, Afghanistan and Pakistan. Ground-based robots like QinetiQ's MAARS robot (shown here), are armed with weapons to shoot insurgents, appendages to disarm bombs, and surveillance equipment to search buildings. A Georgia Tech computer science professor is developing a package of software and hardware that tells robots when and what to fire.